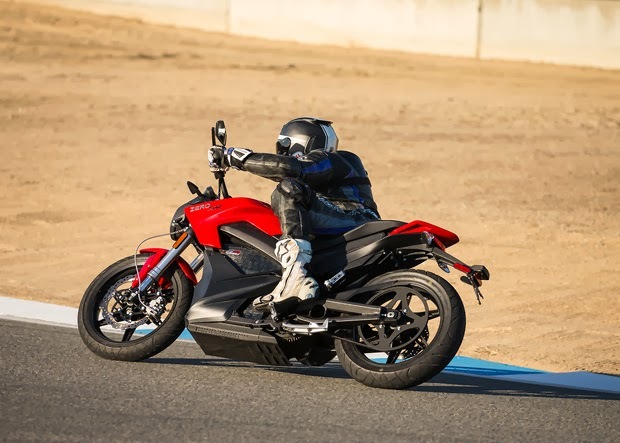 Zero Motorcycles has ditched their dirt bike roots, and added a race ready version of the Zero S. While this is exciting for electric motorcycle racing fans, it means electric dirt bike fans might be disappointed. Or maybe not, depending on how good BRD's electric dirt bikes are. But let's not get distracted by that, and instead focus on today's announcement by Zero Motorcycles of their 2014 product line. 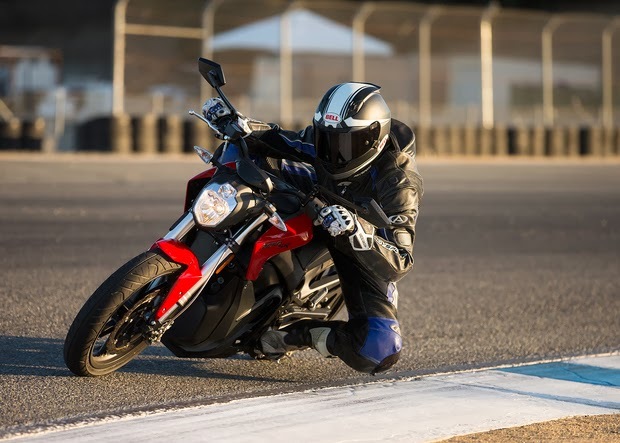 The new 2014 Zero Motorcycles product line is primarily the core trio: Zero S, Zero DS, Zero FX. The Zero SR is the race version, and there is also a Zero Police bike. 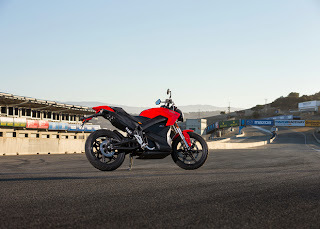 The press pictures area on Zero's website also includes pictures of a Zero MMX but that bike isn't listed on the front page as one of the 2014 models. The Zero XU is missing as are the Zero X and Zero MX (their dirt bikes). The Zero MMX pictures show a bike that's much like their old dirt bike design. The Zero Motorcycles website does not describe the Zero SR as a race bike, but that's what it is. 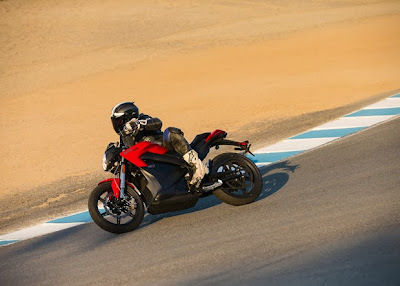 To make that clearer, half the Zero SR the press pictures on Zero's website were taken at Laguna Seca. They say: The “R” configuration of the Zero S is designed for riders who simply want to go faster and accelerate harder. The difference between the Zero S, Zero DS and the Zero SR is that the SR has a 660 amp controller versus the 420 amp controller on the Zero S/DS. In other words, the Zero SR has a SEVCON Gen4 Size 6 controller, while the S/DS has a Size 4 controller. That controller difference is exactly the primary modification made during the 2013 eRoadRacing season by the guys riding 2013 Zero S's. That means Zero is now offering, from the factory, a ready for racing motorcycle configuration. 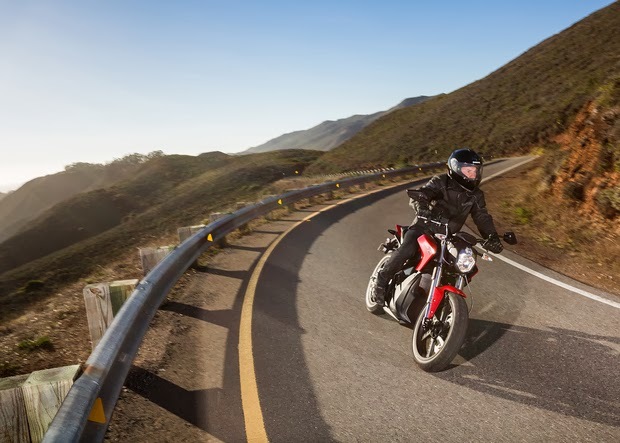 Technically it's not completely race-ready in the same way Brammo's Empulse TTX is. 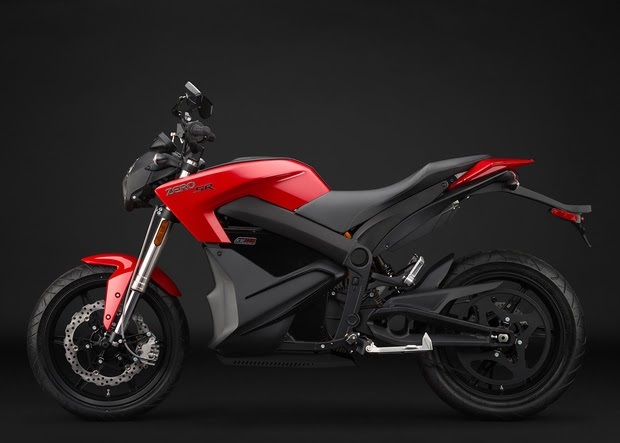 The Zero SR has mirrors and other doo-dads required for riding on the road, and doesn't have the tail switch and lights required by the rules. Those are simple modifications however. The big hurdle, upgrading to the Size 6 controller, is being taken care of by the factory. The 2014 Zero S MSRP is $14,995, while the SR's MSRP is $16,995. That makes the race-ready Zero SR to be a $2,000 price premium. For that price bump, torque goes from 68 ft-lb to 106 ft-lb, power from 54 hp to 67 hp, and top speed from 95 miles/hr to 102 miles/hr. The 0-60 miles/hr time goes from 5.2 seconds to 3.3 seconds. It's the same motor, so you're going to have to develop a cooling system. At the 2013 eRoadRacing events, all the Zero based racers (except for Ted Rich) had installed ducts to direct air at the controller and motor. Curiously they didn't upgrade the suspension components for the Zero SR.
Another new feature is an optional add-on battery pack that bumps total battery capacity from 11.4 kilowatt-hours to 14.2 kilowatt-hours. That increases highway riding range from 70 miles to 88 miles. This won't be of much help to racers because the 2013 bikes had plenty of range for the 22 mile distance of the TTXGP/eRoadRacing events. I have a niggling thought in my head, does the 14.2 kilowatt-hour pack give the bike enough range to complete the Isle of Man TT ZERO? While it's not fast enough to be competitive for a shot at winning the TT ZERO, wouldn't it be wild for a factory built bike to go to that race and finish? So far the TT ZERO has been all about prototype one-off bikes, and not about factory bikes. Just like the 2013 eRoadRacing season was all about factory and manufacturer prototype bikes, bringing a factory bike to the TT ZERO would represent a big step forward. radial flux permanent magnet, brushless motor. Zero introduced this concept for the 2013 model year. 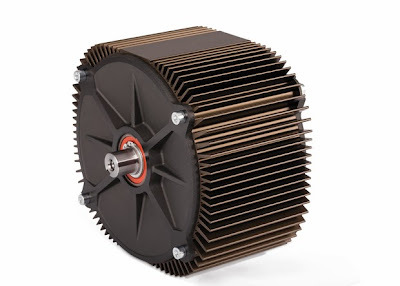 so that simple cooling fins can take care of cooling the motor. 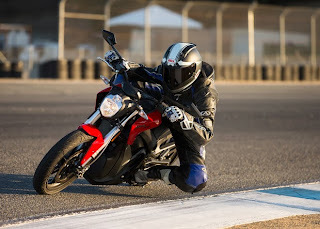 as it was for the 2013 Zero S.